The bunkhouse has 4 separate rooms that open to a shared deck, you get the whole room to yourself. This is a perfect place to start a trip into the boundary waters. 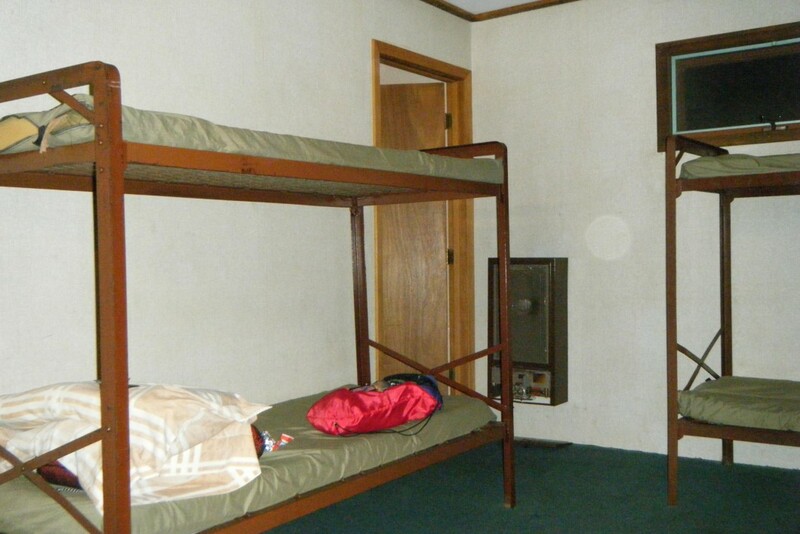 Each room has a heater, electricity, wifi, 4 bunkbeds, each has a private bathroom with toilet, shower and towels. Outdoor carpeting in each room makes it a great place to pack and repack your gear. You can park directly behind the building. We can rent you sleeping bags and pillows if you don’t have some, these rooms are designed for you to use your sleeping bag on the bunks. A separate showerhouse is available, $5 per shower includes towel and shampoo. A shower after your trip is NOT included with a bunkhouse stay, but is included with outfitting packages. With the optional roll-away bed, each room can sleep up to 9 people! $10 per pet for your stay in our bunkhouse, please keep your pets under control at all times, and let us know if you need help watching your pet while enjoying the area. 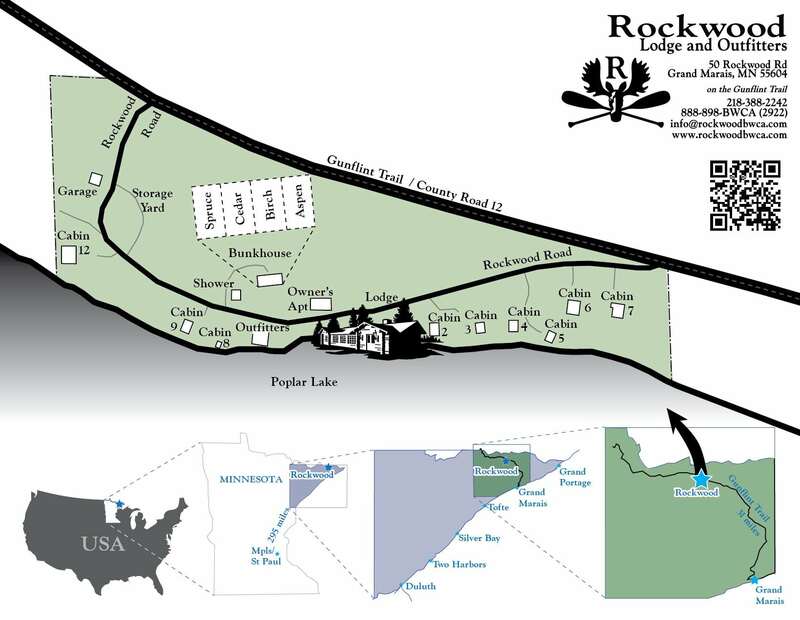 To reserve a bunkhouse room, please call 218-388-2242, email, or click “chat” below right.